Writing in the Autumn 2018 edition of the Vasculitis UK Newsletter NIHR Imperial BRC Researchers Dr Kavina Shah and Professor Justin Mason give a research update on Takayasu Arteritis. Takayasu arteritis (TA) is an inflammatory disease of the large arteries (large vessel vasculitis) that can lead to narrowing and blockage of arteries, or less frequently dilatation of the arterial wall and aneurysm formation . TA particularly affects the aorta and its branches, which supply the brain, heart, limbs, kidneys and intestines. The pulmonary arteries which send blood to the lungs may also be affected. TA is a rare disease affecting young people, with preponderance for females. There are 0.7-1.5 new cases per million people in Europe per year, with an average age of onset of 23 years. Presenting symptoms include fatigue, weight loss, night sweats, fevers, joint and muscle pains, light headedness, neck pain, cramping of the limbs, chest pain and general malaise. The diagnosis is made by combining symptoms with clinical examination, blood results (typically elevated inflammatory markers ESR and CRP), and a variety of scanning techniques including ultrasound, CT angiography, MRI angiography and PET-CT. Why a specific individual develops TA is unknown. However, it is likely to be the consequence of environmental factors and a susceptible genetic background. Although it is postulated that infection precipitates the disease process, this remains unproven. Treatment aims to improve symptoms and prevent any further damage and/or scarring to the blood vessels. To reduce active inflammation in arteries, steroid therapy (prednisolone) is initiated in combination with steroid-sparing immunosuppressant tablets such as methotrexate, azathioprine or mycophenolate mofetil. In very severe disease, when urgent treatment is required, intravenous cyclophosphamide may be recommended. In 2016, NHS England published a commissioning policy for the use of tocilizumab for Takayasu arteritis. Tocilizumab is a biologic therapy. It is an antibody which blocks the action of an inflammatory protein called interleukin-6 (IL-6). This action of tocilizumab decreases inflammation and helps prevent damage to the arteries. NHS England permit the use of tocilizumab in patients who have not achieved control of disease despite the use of first and second-line treatment including steroids and disease-modifying therapies such as cyclophosphamide, methotrexate, azathioprine and mycophenolate for a minimum of 6 months. Tocilizumab is first given via an intravenous infusion, and subsequently via injections under the skin every week, starting 28 days after the initial infusion. After 6 months of treatment, a CT or MRI scan of the aorta is carried out to determine the response to tocilizumab. In our experience at Hammersmith, 14 TA patients have been treated with tocilizumab. 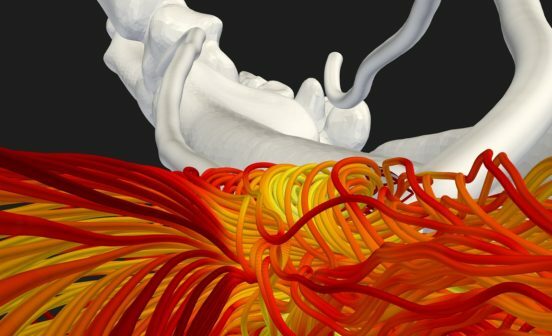 They have shown an excellent response, with the majority of patients demonstrating an improvement in the level of inflammation in the blood as well as reduction in arterial wall thickness on imaging. These responses then allow a reduction in their steroid dose. Two patients had to switch from tocilizumab to other biologic treatment, one because she had concomitant inflammatory bowel disease and another as the TA was deemed not to be controlled on tocilizumab. These patients were switched to infliximab (another type of biologic treatment). The average prednisolone (steroid) dose before the prescription of tocilizumab was 12 mg daily and fell to 4 mg per day (12 months after starting treatment). This represents a significant improvement and substantially reduces the risk of unwanted steroid side-effects. Four out of 14 patients managed to stop steroid therapy within 12 months of starting tocilizumab. 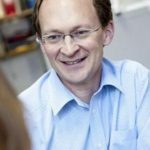 At Hammersmith Hospital, Justin Mason, Professor of Vascular Rheumatology runs a tertiary large vessel vasculitis service. He has built a cohort of over 150 TA patients. Referrals are received from national and international institutions for reasons including requests for a second opinion, for confirmation of diagnosis due to lack of optimal imaging techniques elsewhere, for diagnostic uncertainty, treatment challenges, and patient preference. The patients are typically followed up twice a year in the clinic and are monitored by clinical assessment, blood tests, and imaging to ensure response to treatment. As TA is such a rare disease, and so many questions about it remain unanswered, it is imperative to conduct high-quality medical research in order to improve outcomes for patients. The research effort requires the considerable help and forbearance of the patients. The research programme at Hammersmith Hospital receives funding from the Imperial College NIHR Biomedical Research Centre. The principle aims are to identify the underlying causes of the condition, to understand its natural progression, to develop new blood tests/imaging approaches to aid both disease monitoring and to measure responses to treatment. The ultimate goal is to develop new treatments that avoid steroid therapy and its associated side-effects. Use of non-invasive imaging in a large cohort of patients has allowed us to establish that a combination of positron emission tomography (PET) imaging and either magnetic resonance (MRI) or computerised tomography (CT) imaging is the most effective way to diagnose TA. Serial studies of MR imaging of patients attending the clinic has demonstrated that MRI is a safe and effective way to monitor disease and the response to treatment. We have also developed a novel scoring system for MRI scans for use in future clinical trials. Collaboration with our vascular surgery colleagues has helped us to define protocols to improve the out­comes of surgical intervention and angioplasty in TA. 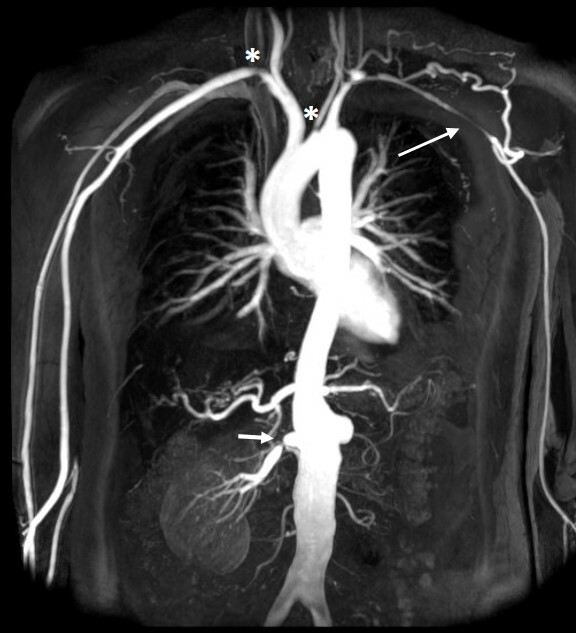 In collaboration with TA specialists in Italy, we have conducted studies that have: (i) helped with inter­pretation of PET images in TA patients with artificial arterial grafts, and (ii) shown how studying matched PET and MR imaging of individual arterial lesions might identify those patients most at risk of worsen­ing disease. Analysis of blood samples from >100 TA patients has identified microscopic particles that might help to identify those patients with otherwise undetectable disease activity. In collaboration with colleagues in the USA we are contributing to a multi-national effort to identify ge­netic contributions to the development and outcome of TA. We are seeking funding for a detailed analysis of plasma samples from patients with TA, to address the urgent need for new biomarkers to help in diag­nosis and in the assessment of response to treatment and prognosis. This work will be done with col­leagues from centres including Cambridge, Southend, Italy, Turkey and the USA. With cardiology colleagues we are exploring new methods for analysing coronary artery disease in TA, aiming to identify those patients most at risk of complications. Funding has recently been obtained to study new approaches for PET scanning in TA. We hope these will be more sensitive and help identify persistent disease activity. 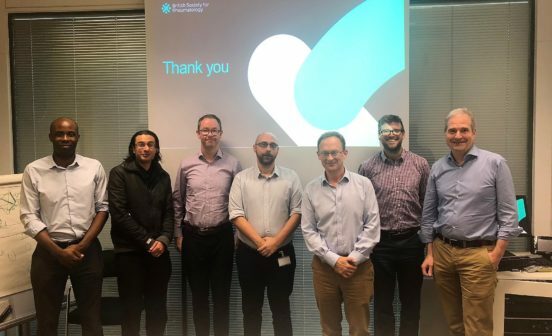 We would like to thank all of our patients who attend the large vessel vasculitis service at Hammersmith Hospital, for their dedication and participation in the various research studies. 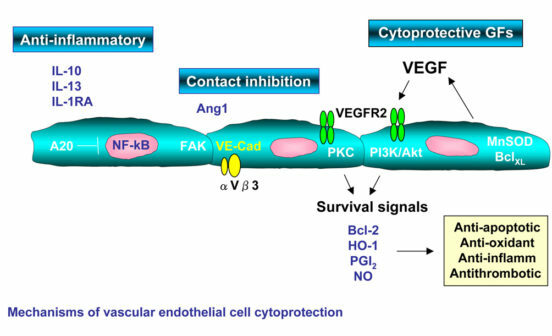 You have made a major contribution to the field of Takayasu arteritis from developing the scientific knowledge base to understanding optimal treatment strategies and monitoring techniques. This has enabled us to enhance our expertise and to advise national guidelines and recommen­dations with the ultimate aim of optimising patient care and outcomes.